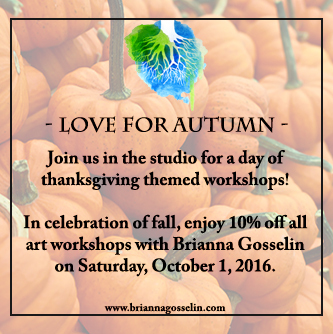 In honour of the first day of fall, you will be able to receive 10% off all thanksgiving workshops taking place on Saturday, October 1. This special discount will automatically be added to your order upon completion of registration. There is an exciting line up of youth and teen projects awaiting your child, I look forward to creating with them in the studio!